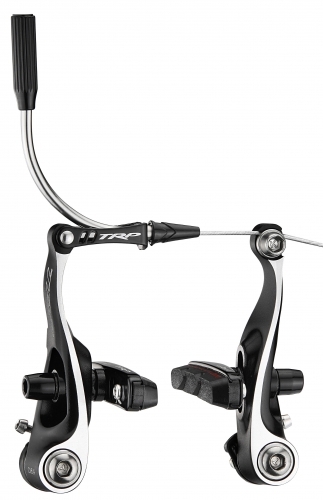 Designed for cyclocross, these brakes will give you the ultimate in stopping power. The CX8.4 features 84mm length arms designed to work seemlessly with SRAM and Campagnolo shifters. Not content to just stop better, the CX8.4’s also feature an integrated barrel adjuster on the noodle to make those on-the-fly adjustments simple! 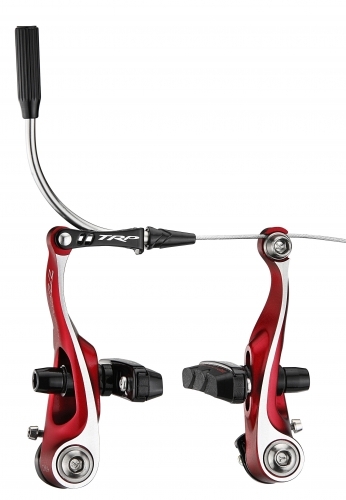 For newer Shimano levers, you’ll want to choose venerable CX9. Sold as complete bike set including all mounting hardware. Includes TRP road size cartridge brake pads. Weighs 148 grams per wheel.